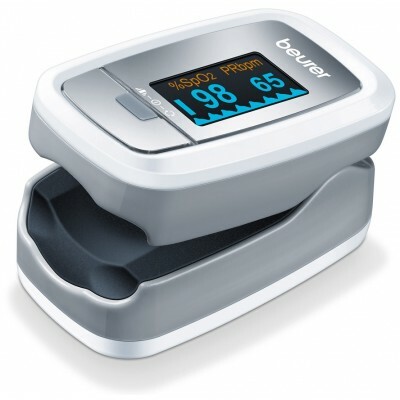 the heart rate (pulse rate) (PRbpm). Oxygen saturation indicates the percentage of haemoglobin in arterial blood that is loaded with oxygen. Therefore it is an important parameter for assessing the respiratory function. If the values fall below or exceed your individually set alarm limits, you receive an acoustic warning. Thanks to the integrated memory, it is possible to record data continuously for up to 24 hours. 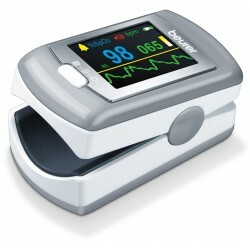 The pulse oximeter can be connected to a PC using the integrated USB connection. The software included in the delivery allows you to obtain a detailed evaluation of your recordings. 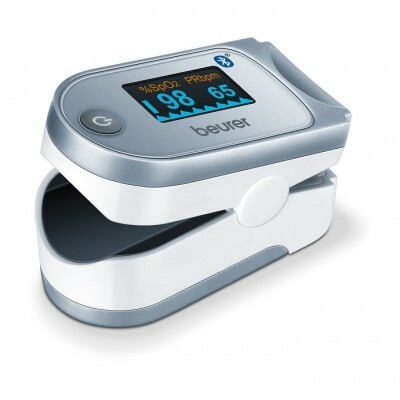 To take a measurement, the pulse oximeter uses two rays of light with diering wavelengths, which strike the finger inserted inside the housing. A low oxygen saturation value generally indicates underlying illnesses (respiratory diseases, asthma, heart failure etc.). People with a low oxygen saturation value are more likely to experience the following symptoms: shortness of breath, increased heart rate, weakness, nervousness and outbreaks of sweating. If oxygen saturation is known to be chronically diminished, it requires monitoring using the pulse oximeter under medical supervision. If you have acutely diminished oxygen saturation, with or without the accompanying symptoms, you must consult a doctor immediately as it could lead to a life-threatening situation. but also for athletes and healthy people who exercise at high altitude (e.g. mountaineers, skiers or amateur pilots). 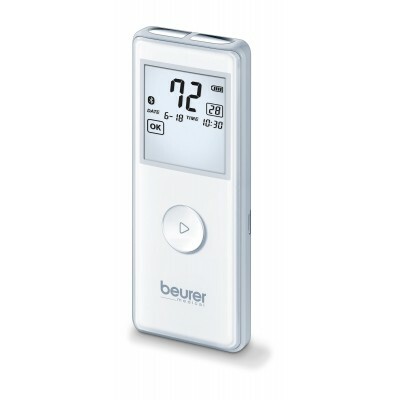 The pulse oximeter is suitable for private use (at home) as well as for use in the medical sector (hospitals, medical establishments).